Is corn in pet food bad? Is corn bad for dogs?. See all articles in the nutrition series. Corn does not have a good reputation when it comes to being included in pet food ingredients. Lately I have seen a strong anti-corn sentiment coming from my clients. So, I thought I would do some research to get to the heart of the matter. Is corn in pet food a bad thing? Is a pet food containing corn a low quality food? Does it matter if corn is listed in the first five ingredients? Read on to find out! Corn is safe for dogs. Dogs digest corn well. Corn contains good fatty acids and other nutrients. Corn is not bad for dogs. It is a great protein source. However, there are different kinds of corn in dog foods and some are better than others. Corn is highly digestible. In fact, once cooked, corn is more digestible than rice, wheat, barley and sorghum1. 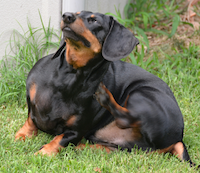 You will find many internet articles that claim that corn is very hard for a dog to digest. This is only true if the corn is in its original, unground form. However, in order to be made into kibble it has to be processed and cooked and is therefore, quite digestible. 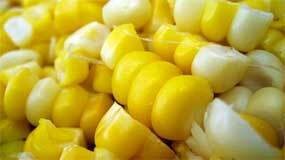 Corn contains essential fatty acids2, such as linoleic and linolenic which help with the health of the skin and coat. Corn contains some great nutrients such as carotene (which is converted to Vitamin A in the body), vitamin E, and lutein2. Corn is actually a quality protein. (see corn gluten meal below). 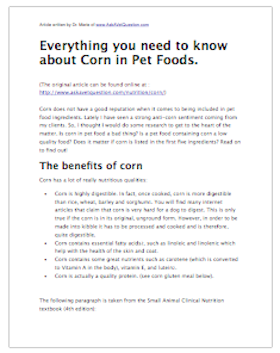 Corn is a nutritionally superior grain compared with others used in pet foods because it contains a balance of nutrients not found in other grains. Corn provides a highly available source of complex carbohydrates and substantial quantities of linoleic acid, an essential fatty acid important for heathy skin. Corn also provides essential amino acids and fiber. Corn grits: This is the portion of ground corn that contains little or none of the protein. Corn bran: This is the outer coating of corn, which is mostly fiber. Corn gluten meal: Once you separate the corn bran, corn gluten is what remains. It is then ground into meal which makes it a very concentrated source of healthy protein. Ground corn or corn meal: This is the whole grain of corn that has been ground. It contains the bran and the gluten together. "Corn Gluten Meal" doesn't sound very good, does it? We've been conditioned to think that anything with the word "gluten" in it is bad. Similarly, "meal" just sounds like something nasty. If you saw corn gluten meal on an ingredient list, would you think that it was an inferior ingredient? I have a surprise for you! Corn gluten meal can be an extremely good source of protein. Corn gluten is a cheap by-product of human food processing. It offers little nutritional value and serves mainly to bind food together. It's a yellow powdery substance, derived from corn starch and corn syrup. In cat food it offers little nutritional value and serves mainly to bind food together. The separation process use centrifugal force to separate the gluten and starch. After repeated washings and dilution, the purified starch will be ready for the corn syrup conversion. Corn gluten meal can be a good source of protein and can provide a number of nutrients. We can't feed corn or corn gluten as the only source of nutrients though. This is because it is deficient in the amino acids lysine and tryptophan. What this means, is that although corn can be beneficial, there really does need to be another protein source (i.e. meat) along with the corn to make a complete and balanced meal. Corn gluten meal has reasonably good nutritional value. However, meat meal or chicken meal is usually a little bit better when it comes to providing nutrients to an animal. One study4 looked at the digestibility of meat meal compared to corn gluten meal and found the meat meal was slightly better. A similar study5, found, as well, that in cat food, meat meal was a little more digestible than corn gluten meal. But wait! Let me confuse you a little! Check out this study6 which compared puppies who were fed either a mixture of corn gluten meal, meat meal and soybean meal or a low quality chicken byproduct meal. (Note, not all chicken byproduct is poor quality. Here is an article about chicken byproducts in pet foods.) What this study found is that the puppies that were fed the chicken byproduct meal did not grow as well and needed more protein than the others. In this case, the corn gluten meal was a better protein source than the meat meal. So what is the point in discussing these confusing articles? Am I saying that corn gluten meal is the best protein source? Is chicken a better protein source? If the protein source is only meat, then there is a good chance that the food will be excessive in calcium, sodium and phosphorus. The right answer is that a combo of ingredients is usually what works best. Many allergies are seasonal. If your dog has fall allergies and you switched foods in November, there's a good chance the allergy symptoms will get better, not because you switched foods, but because the allergy season is over. It's possible that there was another ingredient in the food that the dog was allergic to. If you switched from a chicken based food to a pork based food with no corn, the change of meat protein could be the reason why the allergies are better. Or, perhaps your dog is allergic to something totally unrelated like tomato pomace. If you switched from a low quality food to a high quality corn-free food, it may be that the first food had low quality corn that attracted grain mites (see more about corn quality below). 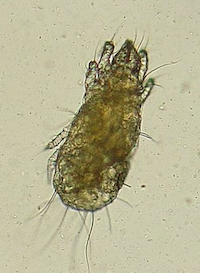 Grain mites can definitely contribute to allergies. It may be that if the dog or cat was on a good quality food with good quality corn, the allergies would not be as severe. In a survey of veterinary dermatologists, corn was not listed among the ingredients most often suspected to cause food allergies. A review of over 200 confirmed canine cases of food allergy in the veterinary literature revealed only three were caused by corn. The same number was reported for rice. One study10 stated that corn was responsible for only 3% of all of the allergies in dogs. For almost every ingredient, there will be a proportion of the dog or cat population that is allergic. Corn is no different. 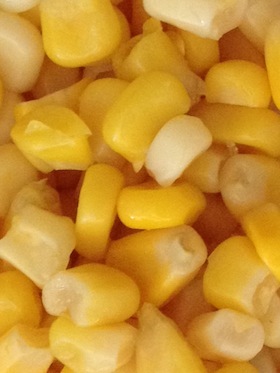 While it is possible to be allergic to corn, corn is no worse than other ingredients. The most common allergens are beef, wheat, egg, chicken and fish. Does corn contribute to behavior problems? I have read many forum posts on the internet that claim that feeding a diet high in corn can contribute to behavior problems in dogs. People who say this, believe that corn can interfere with serotonin levels in the brain. Corn does not contain much of the amino acid tryptophan and tryptophan is necessary to make serotonin. (Tryptophan is the substance in turkey that makes you feel content and sleepy after Thanksgiving dinner. Serotonin is a chemical in the brain that produces feelings of well-being.) The rationale is that feeding a diet that is high in corn would result in lower tryptophan levels which could result in lower serotonin levels in the brain. There are studies showing that low tryptophan levels can affect behavior. There are studies showing that low serotonin levels can affect behavior. There are no studies that show that having corn in a diet affects behavior. What if corn is the first ingredient? The answer is...........WE DON'T KNOW! The weight of the corn per bushel. The amount of moisture in the corn. The amount of broken/damaged corn. The amount of foreign material in the corn. Lower grade corns may contain more damaged corn and more moisture and this means that the corn is going to be much more susceptible to growing mold and therefore, more susceptible to deadly aflatoxins. Most reputable food manufacturers will screen their corn for aflatoxins before accepting it as an ingredient. Hill's uses grades 1 and 2 corn for our pet foods, which are the grades traditionally used for human food products. Iams uses high-quality corn meal-corn kernels that have been finely ground to break up the outside covering of each kernel, then cooked at high temperatures to increase digestibility. At Royal Canin, we use corn that is grade 1 or 2. So how can you know what the quality of the ingredients are? Click here to find out! In all seriousness, there is no way to know food ingredient quality by reading a pet food label. I can't read a food label and tell you if this is a good food or not. My purpose in writing this article was not to become the world's biggest cheerleader when it comes to corn, or to state that all pet foods should be corn based. Rather, my goal was to hopefully remove some of the fear when it comes to seeing corn as an ingredient in a pet food. My advice is still as it always was. When it comes to choosing a good pet food, I choose foods that I have seen consistently produce healthy coats and solid stools in a majority of dogs. In 13 years of practice I have been quite satisfied with the nutrition of Royal Canin, Hill's and Iams. (And no, I am not at all affiliated with this companies or paid by them in any way.) I am sure there are other good foods out there, but for now, these are three that I can confidently recommend to my clients. 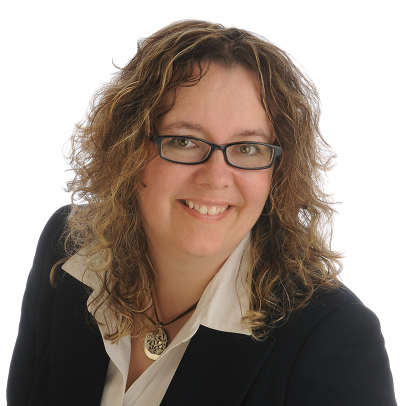 Post written by Dr. Marie of Ask A Vet Question. Want to print this article? Want to put a summary of this article on your website? Click here for a summary of this article that you are welcome to put on your website. This article is copyright AskAVetQuestion. Do not reproduce without permission. You may reproduce the article summary. Itchy dog photo courtesy of Tobyotter, flickr. Grain mite photo courtesy of Joel Mills. Schunemann C, Muhlum A, Junker S, et al. Prececal and Postileal Digestibility of Various Starches in the Dogs and pH Values and Concentration of Organic Acids in Colonic Chyme and Feces. Adv Anim Physiol Anim Nutr. 19:44-57, 1994. Watson SA and Ramstad PE (eds.). Corn: Chemistry and Technology. American Assoc. of Cereal Chemists, Inc., St. Paul, MN, 1987. Corn ingredients and their use in our foods: Iams.com. Masayuki Funaba, Yuko Oka, Shinji Kobayashi, Masahiro Kaneko, Hiromi Yamamoto, Kazuhiko Namikawa, Tsunenori Iriki, Yoshikazu Hatano, and Matanobu Abe.Evaluation of meat meal, chicken meal, and corn gluten meal as dietary sources of protein in dry cat food. Can J Vet Res.;69(4):299-304. October 2005. Funaba M, Matsumoto C, Matsuki K, Gotoh K, Kaneko M, Iriki T, Hatano Y, Abe M..Comparison of corn gluten meal and meat meal as a protein source in dry foods formulated for cats. Am J Vet Res.63(9):1247-51. September 2002. Case LP, Czarnecki-Maulden GL. Protein requirements of growing pups fed practical dry-type diets containing mixed-protein sources. Am J Vet Res. 51(5):808-12. May 1990. Corn grades and feed value. http://www.ca.uky.edu/agc/pubs/id/id61/id61.htm. Penn State Entomology: Flour and Grain mites: http://ento.psu.edu/extension/factsheets/flour-and-grain-mites. DeNapoli JS, Dodman NH, Shuster L, Rand WM, Gross KL. J Am Vet Med Assoc. 2000 Aug 15;217(4):504-8. Erratum in: J Am Vet Med Assoc 2000 Oct 1;217(7):1012. Is corn in pet food really that bad? Does it cause allergies and digestive problems? Want to print this article? Click here for a printable pdf of this article.